A Nebraska-led research project has shown promise in using biofortified cassava roots as a way to battle vitamin deficiencies in sub-Saharan Africa. Key findings in a decade-long research project at the University of Nebraska–Lincoln may result in solutions to sub-Saharan Africa’s challenge with vitamin A deficiency. 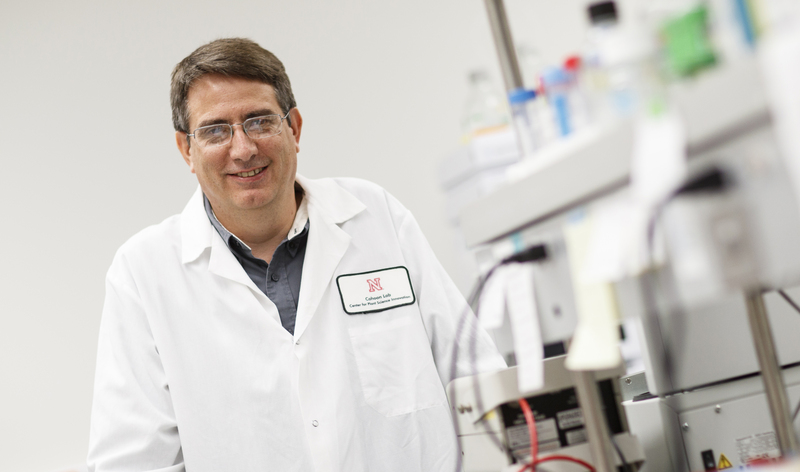 A team led by Edgar Cahoon, George Holmes Professor of Biochemistry and director of the Center for Plant Science Innovation, focused on increasing amounts of provitamin A-beta carotene in cassava. Cassava is a starch-rich root crop that is a primary calorie source for more than 250 million people in sub-Saharan Africa. Despite its dietary importance, cassava is relatively deficient in micronutrients such as provitamin A beta-carotene. As a result, childhood blindness and other health problems associated with vitamin A deficiency are problems in countries — like Nigeria — that heavily depend on cassava as a food source. As part of the project, the team partnered with the National Root Crops Research Institute to conduct the first government-approved confined field trial of a genetically modified crop in Nigeria. The study used cassava plantlets propagated and shipped from Cahoon’s lab at Nebraska. The team was successful in its attempt of increasing beta-carotene in cassava roots. They found that the biofortification process actually reduced the starch content in the roots. Provitamin A-enhanced potatoes developed by the researchers using a similar strategy also reduced the starch content. The study also identified key genes that are likely targets for minimizing starch reductions in future biofortification efforts. 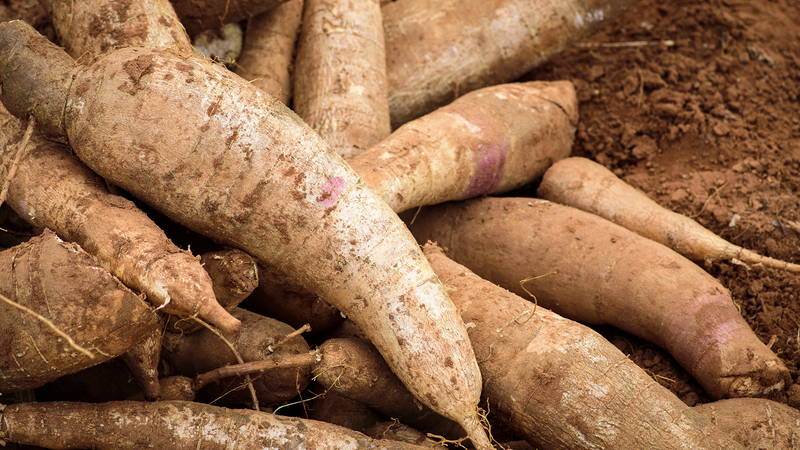 A major challenge with current cassava production is the short amount of time the root crop remains fresh after harvest. However, the research team found that when target beta-carotene were reached within the cassava roots, the shelf life of harvested crop expanded greatly. The finding is an added value that could benefit subsistence farmers who transport roots to urban markets. The study also found that biofortification extends the shelf life of cassava roots. The finding may make the crop more desirable to subsistence farmers in Africa who transport roots long distances to urban markets. Furthermore, Cahoon said these findings highlighted genetic and biochemical links between beta-carotene enhancement and carbon storage that should be considered for breeding and biotechnology-based approaches for provitamin A biofortification of starch-rich crops. The biotechnological approach used in these studies also allows for “stacking” additional genes to improve other production and nutritional limitations of cassava such as plant virus sensitivity and low iron content for storage roots. The results of the study were published in Plant Biotechnology Journal. Nebraska researchers partnered with scientists from the Boyce Thompson Institute, Donald Danforth Plant Science Center, Kenya Agricultural Research Institute, New Mexico Consortium, Texas A&M University and the University of Puerto Rico. Funding for the project was provided by the Bill and Melinda Gates Foundation, USDA-Agriculture and Food Research Initiative and the National Science Foundation.